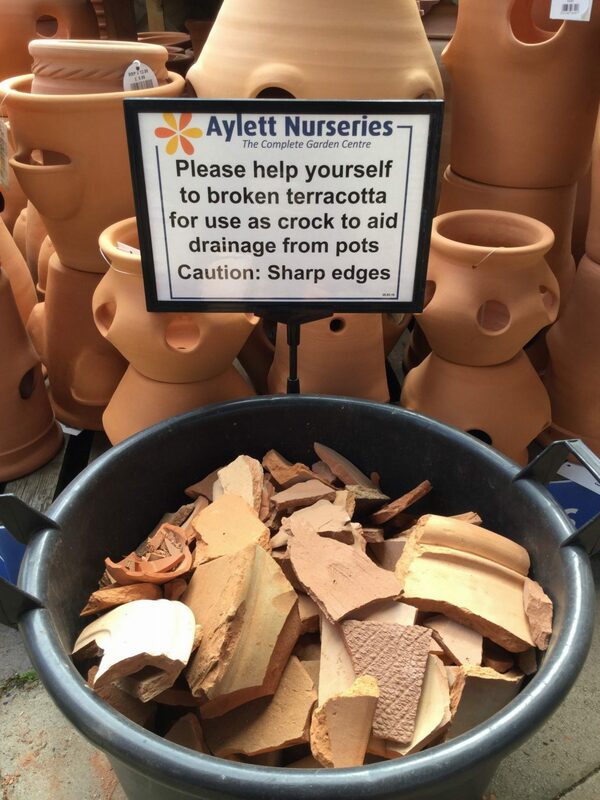 We offer broken terracotta for use as crock, free of charge and available from our pot area. What is crock used for? Placing a piece of crockery in the bottom of your plant pots aids drainage. Allowing water to run off more quickly prevents compost from clogging up the holes at the bottom of the pot and prevents plants becoming waterlogged.